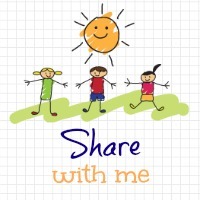 Welcome to the ‘Share With Me’ blog hop Week 31! Without further ado my favorite link up was from the sweet Sand in my Toes – Six Reassuring Phrases for Toddlers. A great list to go by! If you missed it, you have to check it out here! Thank you for featuring my post, Jenny! Thanks for another great collection of links, Jenny! Hope your week is going well. Awesome list! And thanks for hosting, Jenny.